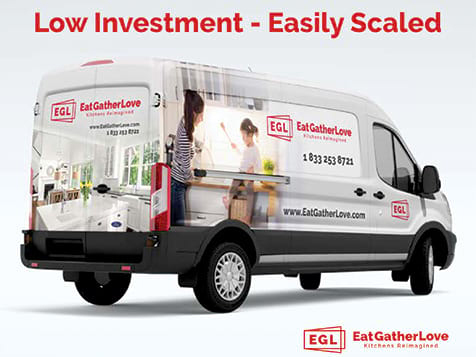 What does an EatGatherLove Franchise Cost? 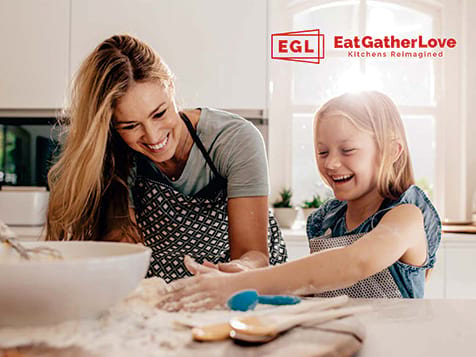 Eat Gather Love initial franchise fee is $50,000 and the total investment ranges from $137,300 to $304,750 to operate the business. Each franchise typically serves a city area with 500,000 population. 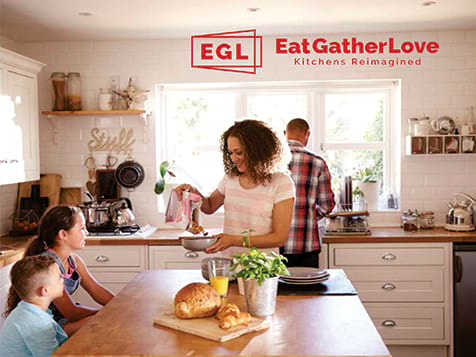 Eat Gather Love provides the training, processes, support and award winning Franchise Management System (FMS). This system enables owners to track and identify opportunities to improve their business, alongside outstanding proprietary marketing systems. We believe the kitchen should be the heart of the home, and the home should be full of heart. We are looking for people who want to run their own business with our help and support, so that together, we can realize our mutual goals. We are looking for people who share our values of Honesty, Integrity, Family, Craftsmanship and Quality. 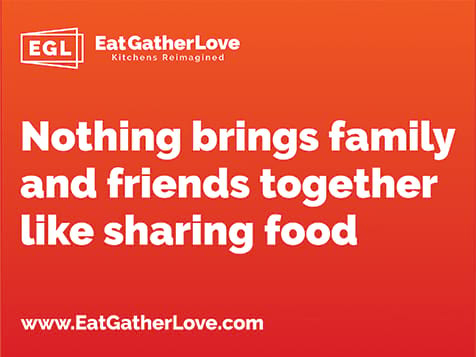 Open an EatGatherLove in: CA. 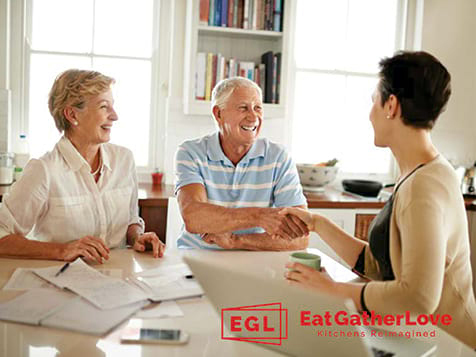 An EatGatherLove Franchise is a very special business opportunity for you that could make a big impact on your life, and that of the customers you serve. This franchise business allows you to be your own boss. You set your own pace and call all the shots. You will feel very satisfied knowing the effort you put in on a day-to-day basis goes directly to you and contributes to your success. Sound good? Outstanding Support, Resources & Systems. Your franchise comes complete with our International award winning Franchise Management System (FMS), providing you with up-to-date information on your franchise. This system enables you to track and identify opportunities to improve your business, alongside our outstanding proprietary marketing systems. Our vision is to build a one of a kind brand that delivers a customer experience that people fall in love with, and a business that is embraced by its franchise family as one of the best decisions of their lives. Our purpose is creating the heart and soul of home. We also believe that owning your own business should be fun and financially rewarding. While many in the booming kitchen refurbishment business chase large complicated projects, we've perfected the art of attracting customers who choose a different, less expensive option. Your role as the business owner is to optimize the technology we provide that helps you oversee the project and provide amazing customer service. 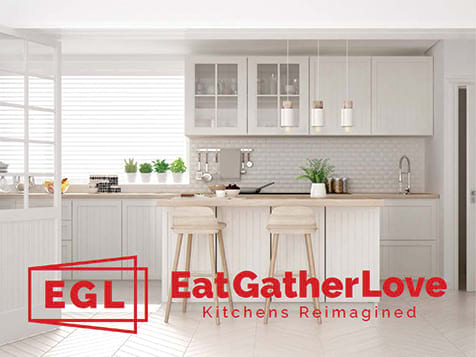 Born out of over 100+ Dream Doors franchise units globally, EatGatherLove has its sights set on expansion in the US. We've put a team together of industry and franchise support experts other franchises can only dream of. If you're truly ready to take the next step toward owning a solid, successful business, take a few minutes to review our site and then fill out the form. One of our franchise representatives will be glad to help you determine if it's the right move for you.